At The Villas of Lilydale, our tenants love giving back to the community. 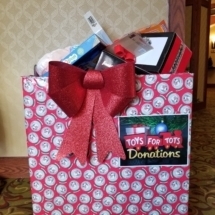 That is why our tenants had their own toy drive for Toys for Tots. As usual, they came through with many toy donations! Check out the toy bin below!